Press "Play" for a Guided Tour - Or, Simply Walk Through On Your Own! 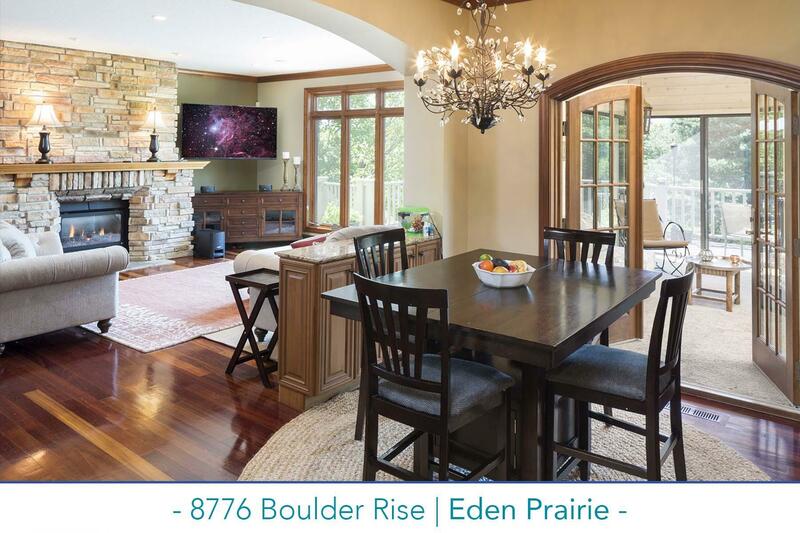 Stunning Steiner & Koppelman built home on quiet cul-de-sac in prestigious Boulder Pointe. Updated center island kitchen that opens to main floor family room and three-season porch. Four bedrooms on upper level including master suite with 2015 en-suite bath remodel. Set on nearly half-acre lot, the home features a three-car garage. Walkout lower level with second family room and additional bedroom/bath leads to expansive, manicured, level backyard. Newer Marvin windows, cedar shake roof, and mechanicals. Homeowners sad to leave this great home due to a job transfer.